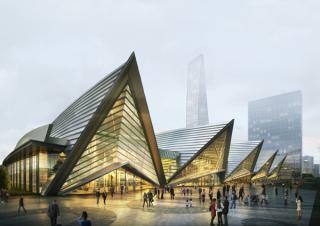 Songdo Convensia is a large-scale exhibition hall located in Songdo-dong, Incheon. It has an exhibition center which can be divided into two halls with the help of its utility wall. Not only that, it can hold up to 450 booths. The premier ballroom is a large multi-purpose hall for events that can be also divided into three areas through a soundproof wall. There are numerous conference rooms that can be used for various purposes. It is interesting to note that there are spaces such as a VR experience room, VIP lounge, and cafeteria.